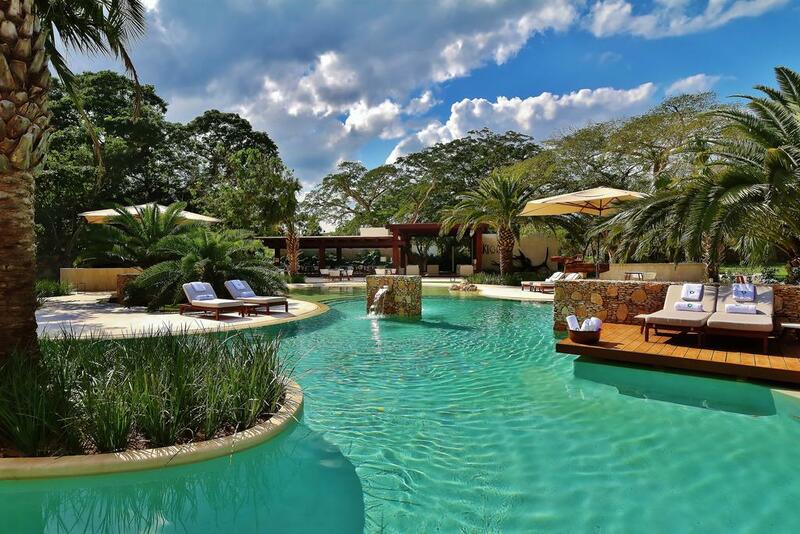 The Leading Hotel of the World Chablé Resort has selected ALICE’s full suite of staff communication and task management tools, as well as white-labeled app for their guests, to improve staff communication, enhance operations, and better engage guests across its 40 luxury villas located in the Mayan jungle. ALICE is the hospitality industry’s leading operations technology, connecting every department of the hotel with one platform for all staff communication and guest requests. In 2017, ALICE acquired concierge software provider GoConcierge to augment its technology and customer service offering. At the time of implementing ALICE, Chablé Resort had developed standard operating procedures (SOPs), but had yet to fully distribute and communicate them to all departments (the Resort opened in 2016). By implementing ALICE, SOPs are now stored as Logbook items, which makes them easily accessible to all staff members. When changes to SOPs are made, additions are uploaded as new Logbook items and immediately available to every department. This was a new feature in ALICE designed specifically for the resort and it ensures that everyone is on the same page when it comes to following procedures. Another aspect that had impacted operations at the resort prior to ALICE was communication amongst management, and staff in general. Previously, personal cell phones were used by management to communicate requests or report anything that needed to be addressed. This had two further implications. One being that the only way for management to see if a task had been completed required scrolling through a chat history, and the other being that on days off, management would still receive messages that were often unrelated to their team. By upgrading to ALICE, managers will no longer be bothered by messages on their personal cell phones and will only receive requests that exclusively pertain to their areas, allowing for managers to fully disconnect from work. The issue of identifying if a task has been completed has also been addressed, as ALICE workflows enable the manager to see when something has been completed through the ticket history. Moving over to ALICE has also meant that radio is no longer the main channel of communication. This has benefitted the property in many ways, especially because radio chatter is no longer overheard by guests.